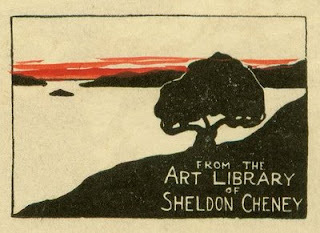 What is the use and art of modern book plates? This question was asked to me by +Laura S. I can honestly say I haven't even thought about this in regards to my book. After doing some research I find that it is very interesting. I love the idea now and want my book to have one. So what is a book plate? 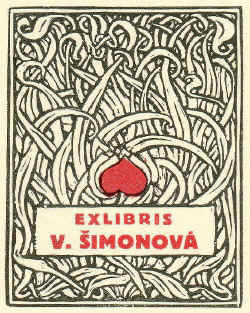 A book plate, also know as ex libris, is usually found on the inside front cover. It is most commonly seen as a sticker or a stamp. It indicates its owner. If it is typed on the cover it is called a book label. The label usually has elements that reflect the writer. It is kind of like a coat of arms. They can be fancy or very simple. Let me start by saying this. 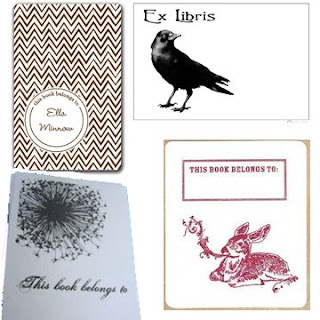 According to research book plates should not be used if you plan on selling the book. It greatly decreases the value. People see it is a blemish on the book and don't like it. 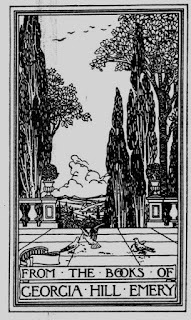 I have read more than a handful of people through threads who hate bookplates and marking up their books. They try to keep them as pristine as possible. I have a different view on that. Personally I like having a book be my own. I am one of those people who at first hated Kindles and readers. I kept saying how much I loved smelling an old book or going to the library. Then I got a kindle and fell in love with reading on it. However, if I know I'll love the book or if it is an author I have read before, I buy the real book on amazon. Why do I do this? I know I will like the book and possibly want to read it again and again. I love looking on my bookshelf and remembering a book. For example, I have a large collection of Jodi Picoult and Nicolas Sparks. I buy these books because I want them to be my own. My twilight book is worn hard and I have highlighted my favorite lines and it's falling apart. I love this about my book. My favorite books are torn and have food on them. I like that. I want my favorite books to feel personal and feel like they are mine. I personally don't have book plates on them but my name is scribbled in there. In some books I have a grade written inside the front page with what I thought and the date. When I go back to read the book years later, sometimes my review changes. I like knowing what I thought. Sooooo... My thoughts on bookplates is to not let the value of your book bother you unless you are selling the book back. I feel like if you love the book, why sell it? Why let people who think your thoughts are a "blemish" get to you. Mark that baby up! 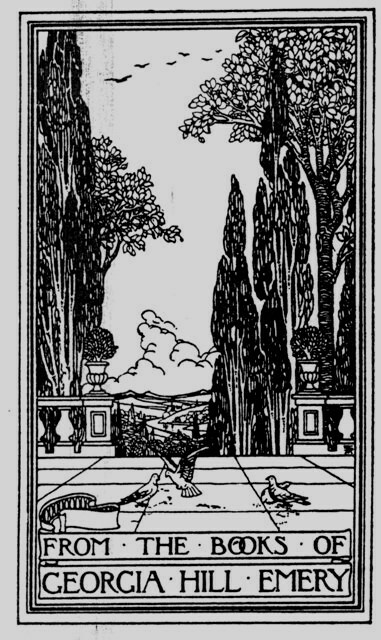 Bookplates are really cool and unique to yourself. If nothing else, your kids will see them and think it's cool when it's their turn to read the book.